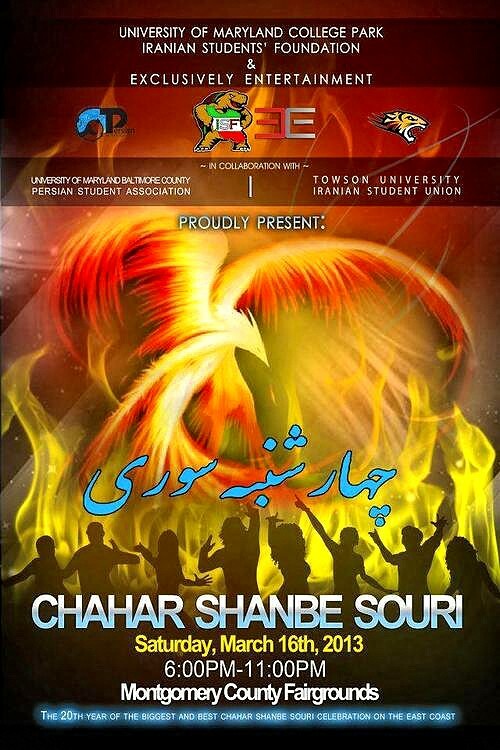 University of Maryland College Park Iranian Students’ Foundation & Exclusively Entertainment in collaboration with University of Maryland Baltimore County Persian Student Association and Towson University Iranian Student Union proudly present… CHAHAR SHANBE SOURI. We at the University of Maryland believe in building bridges to make our community unite as one, embracing the differences that make us unique. We believe that to grow strong, we must start as students in working on our own campus and campus community, as well as with others beyond our immediate scope in our greater community for a common purpose. That is why we are very proud and excited to collaborate together with UMBC Persian Student Association and Towson University Iranian Student Union for the first time to host our annual Chahar Shanbe Souri event in its 20th year! Come celebrate our togetherness, while also enjoying one of the best Chahar Shanbe Souri celebrations on the East Coast! 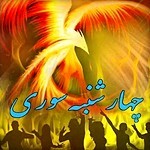 University of Maryland College Park Iranian Students’ Foundation & Exclusively Entertainment in collaboration with University of Maryland Baltimore County Persian Student Association and Towson University Iranian Student Union proudly present Chahar Shanbe Souri at the Montgomery County Fairgrounds! Join all of us as our community comes together for this huge celebration of new energy and bonfires, sports, music, dancing, games, prizes, and more! You don’t want to miss the most exciting way to prepare for the new year and say goodbye to the past year! Please email us for sponsorship opportunities and to purchase a table for your business or organization at our event!